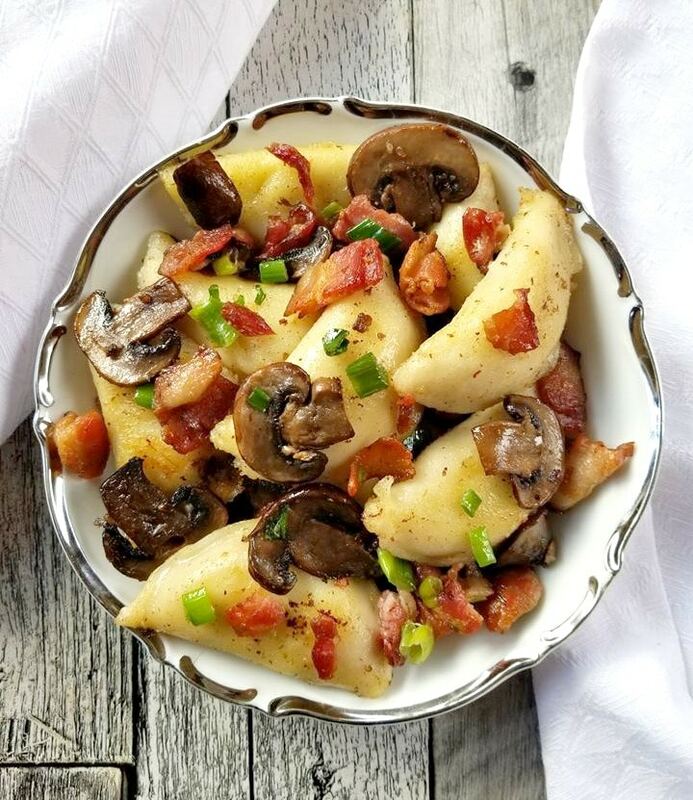 This Perogies with Bacon and Mushrooms are absolutely delicious and is one of my favorite comfort foods. 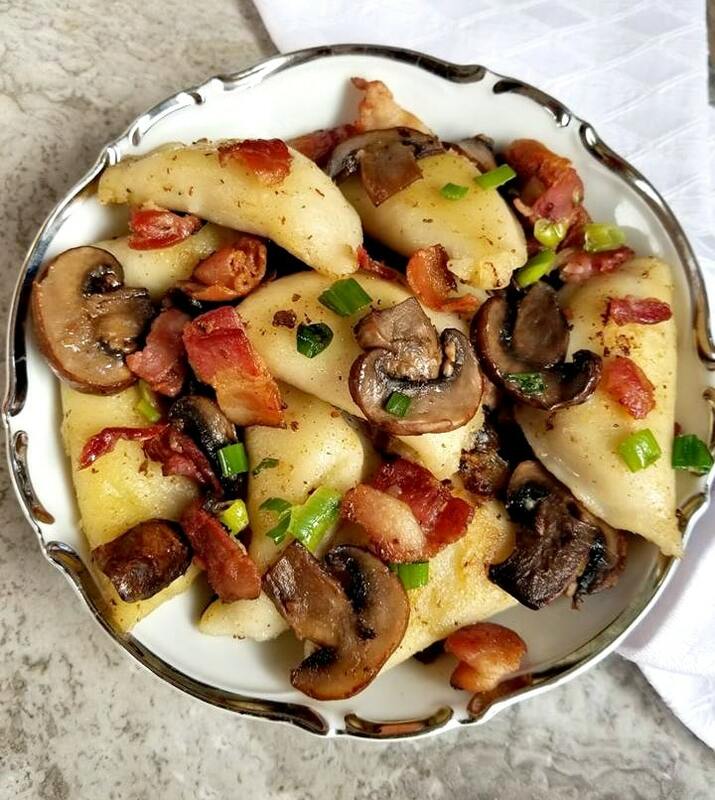 There is no butter added to this dish, rather the mushrooms are sauteed in a little bacon fat and the perogies in olive oil. 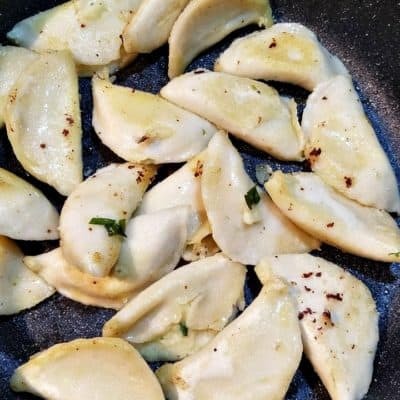 I just love perogies, it is my ultimate comfort food. 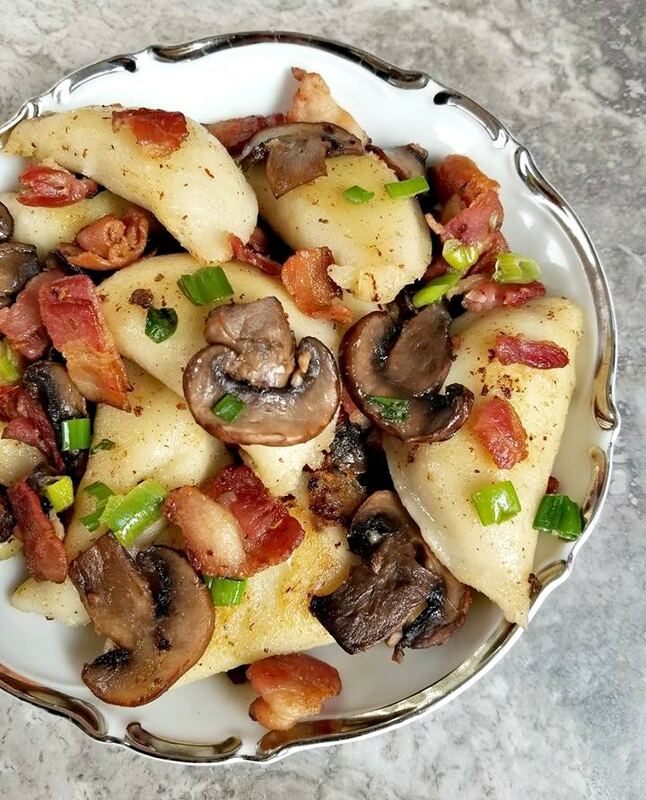 Some people like burgers or macaroni and cheese, I like perogies. 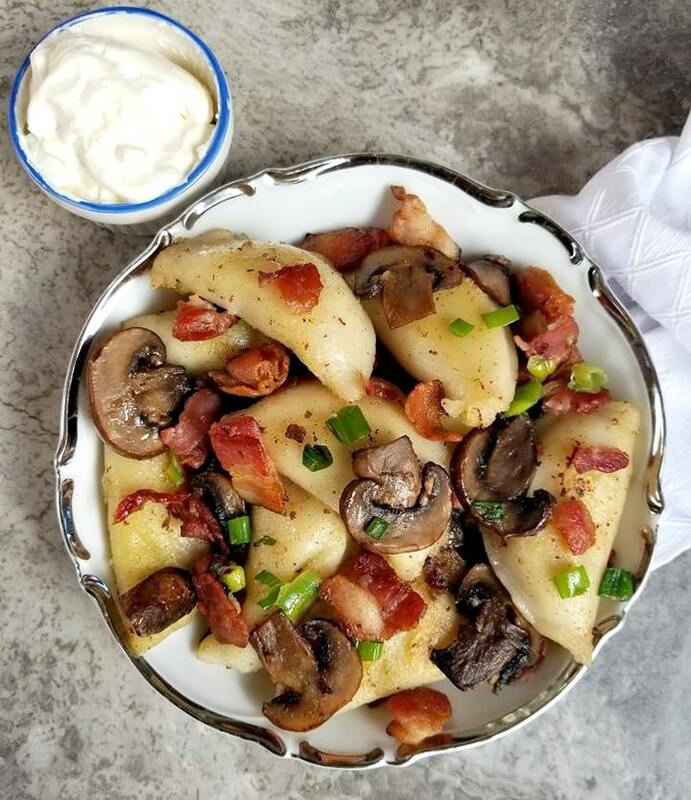 Growing up my mom made perogies more often than potatoes and she always served them with a dollop of sour cream. 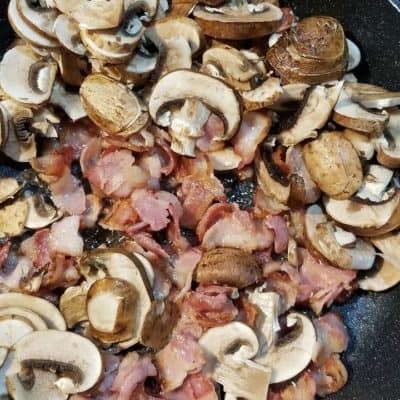 But never did she make them like this, with mushrooms and bacon. I believe it’s because she typically served them with a sausage on the side which gave us our protein. Even though I really love perogies served with kielbasa and or farmers sausage. I also love them made this way too! 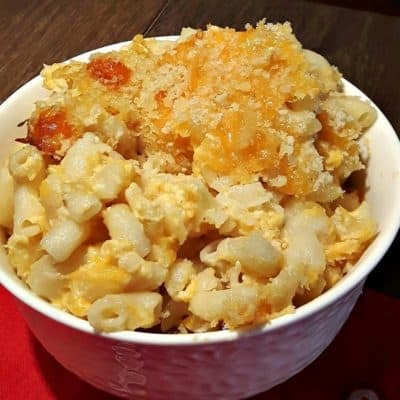 Go ahead and indulge in this big bowl of comfort tonight! 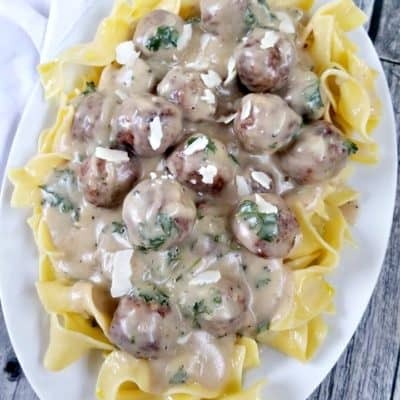 Want this recipe on the table in under one hour? 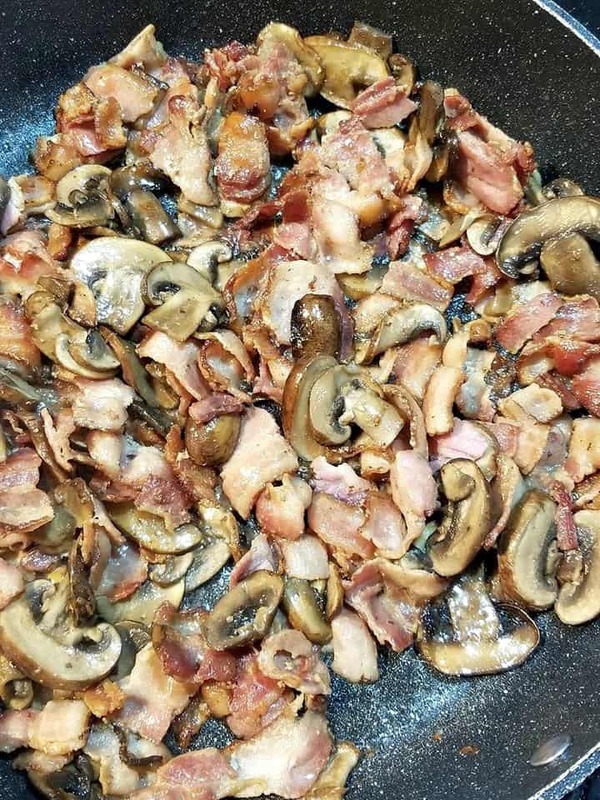 Simply saute the bacon in one pan and boil the pregogies in another and merge everything together at the end. Serve it up with some sour cream on the side if desired. 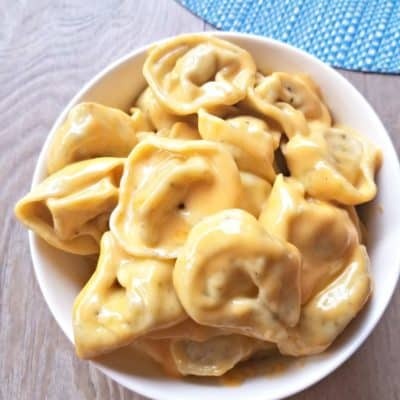 If you are wanting to make more than three of these dishes tonight. 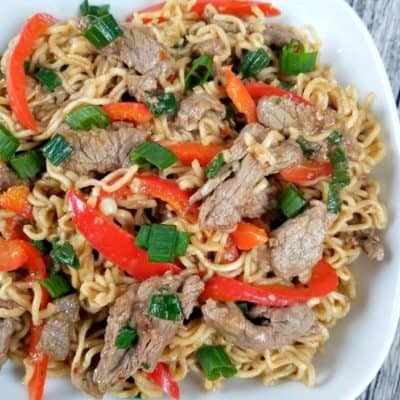 Then you will want to use my simply ingredients adjust ABOVE and you can have leftovers too. I hope you enjoy! 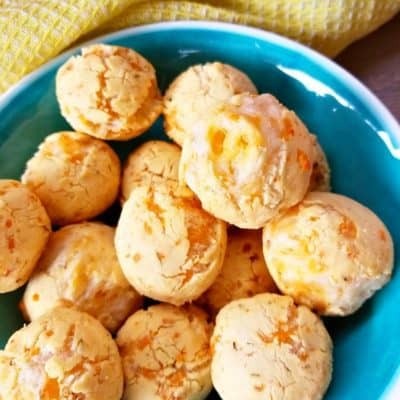 If you liked this recipe? Then you may want to try my “Farmer-sausage-skillet-with-perogies” your sure to love it too. 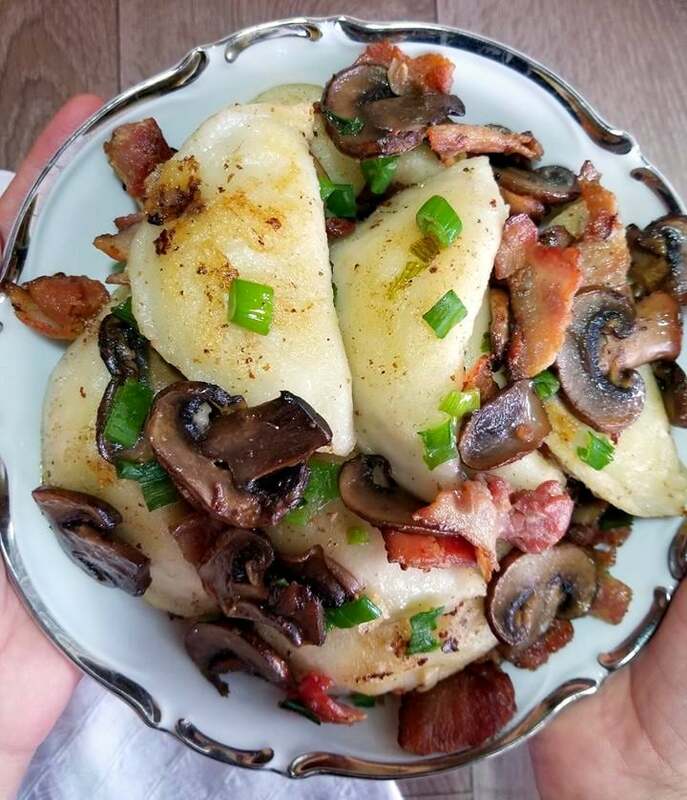 Perogies with Bacon and Mushrooms are absolutely delicious and is one of my favorite comfort foods. 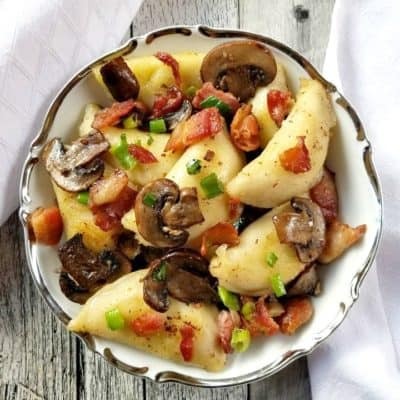 There is no butter added to this dish, rather the mushrooms are sauteed in a little bacon fat and the perogies in olive oil. Start by bringing a large pot of lightly salted water to a boil. Then add in the perogies and turn the heat down to medium heat and allow the perogies to rise to the top of the pot. To save time, while the perogies are cooking. 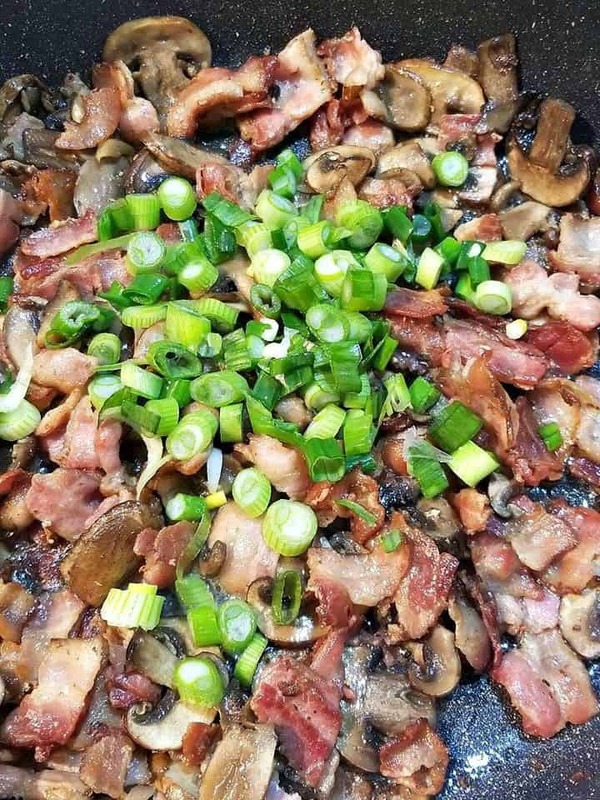 Cut up a package of bacon with a sharp knife and saute the bacon in a large pan till crispy. 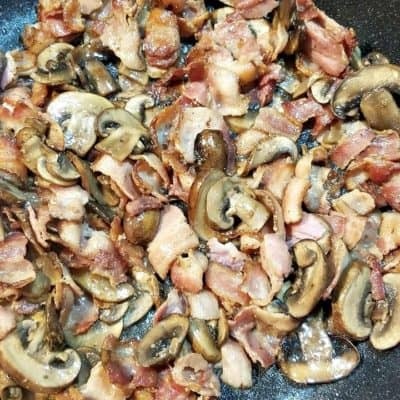 Drain away almost all the bacon fat leaving less than 1 tsp and add in the sliced mushrooms. 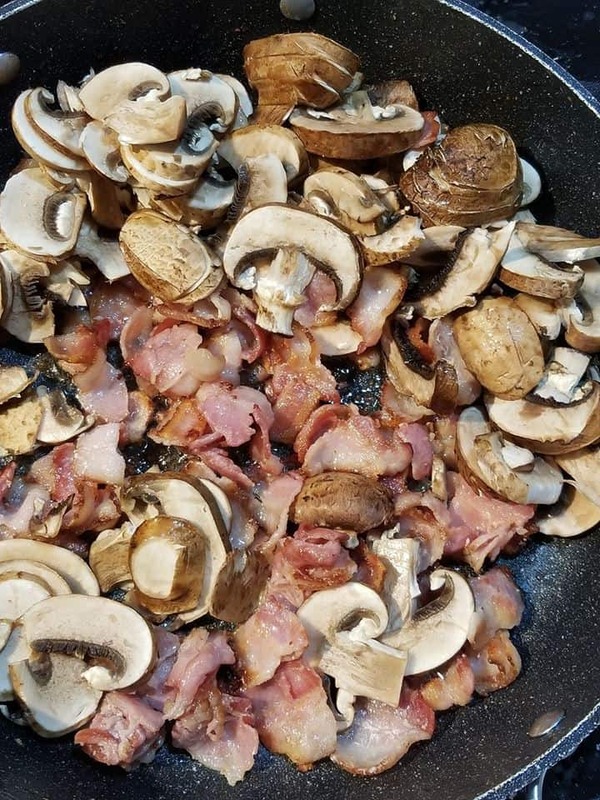 Saute the mushrooms and bacon till the mushrooms have browned, remove the bacon and mushrooms and set aside. 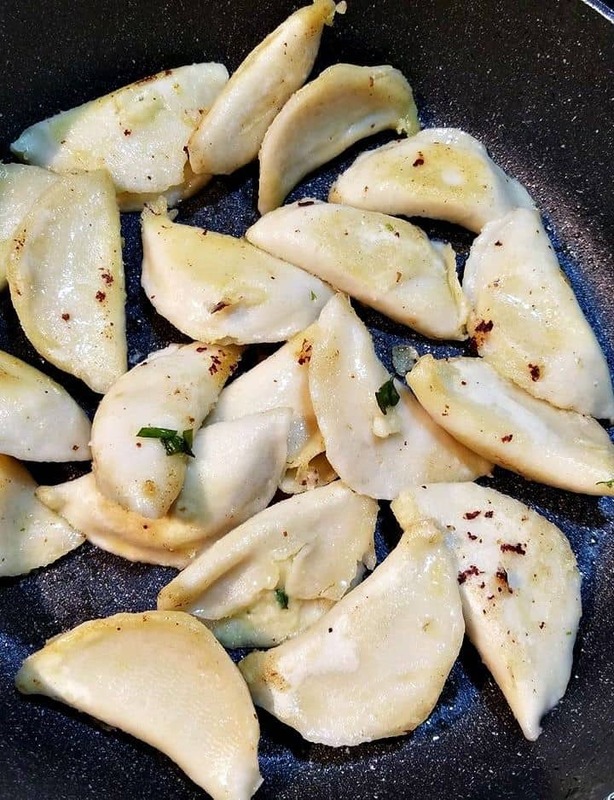 Using the same pot add in the cooked perogies along with a little olive oil and saute till the pregoeis are browned slightly, roughly 3 minutes on each side. 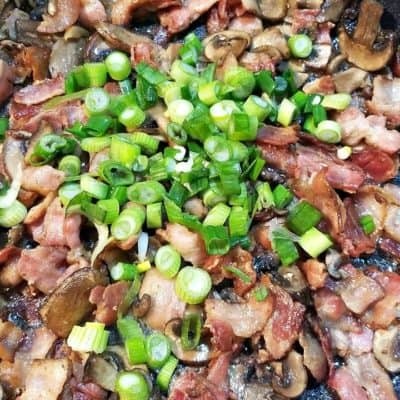 Add in the sliced green onions and simmer a few minutes before adding back in the cooked mushrooms and bacon. Saute all together for one minute and serve!